Brother printer, HP printer, Canon printer which one is your favorite? Brother focus on black and white printers, while HP and Canon focus on color printers. If you are using HP printers, don’t miss this V4ink HP brand week. Because you’ll get a 12% discount, only this week! (3) Intelligent color control software to control the cost of color playing: HP’s intelligent color control software can intelligently manage color printing, so that your color toner cartridge can be used more fully without waste. (4) The printing effect and quality are better, the machine is durable, and it is not easy to cause trouble. The powder of the HP toner cartridge are more delicate, but also environmental protection with biological wax, printing effect is clear, black is full, ink is not easy to fall off; color powder is bright. Hewlett-Packard toner cartridge is generally divided into high and low page output, suitable for users with different print demand. In addition, HP toner cartridge has a long service life and is suitable for office and home use. (1) Benefit: Only 1/3 of the price of the original toner cartridge. (2) The quality of products is good: the printing effect is almost the same as the original, and the page yield is consistent with the original even more than the original. (3) High quality after-sales service: 2-year warranty guarantee, if received products with quality problems can be replaced or refunded free of charge. Hp CF400X toner cartridge and HP 410X toner cartridges are two popular models of V4ink. The product is affordable and the page yield is sufficient, averaging less than $0.01 per page. This week’s purchases can save you 12% by using the coupon code: HPWEEK and the campaign ends on January 20. Speaking of printers, most people are probably familiar with them. As an indispensable part of daily work, many people use them almost every day. However, the printer is also a relatively sophisticated instrument, its quality directly determines the printing effect of working documents, so many office purchasers for the choice of printer is very headache. In the current printer market, HP is well known for its printers, and they offer several different types of laser printers. Laser printers use a toner cartridge and laser to fuse the toner on to the paper, printing the words and images. If you don’t have a great deal of color printing, you can save money by using black and white laser printers instead of color. These HP laser printers do not cost as much to start with compared to a similar color printer. You also only have to purchase black toner, instead of adding on the extra cost of color toner. As of the time of publication, HP black and white color printers have a speed of up to 40 PPM, although the specific speed varies based on which of the printers you end up purchasing for your business. The popular printer is HP LaserJet Pro P1100 P1102 P1102Wand uses the HP CE285A 85A Toner Cartridge. Color laser printers give you the option to print out full-color materials. While the cost is higher than a standard black and white laser printer from HP, you can save money by keeping all of your printing in-house. If you’ve been using print shops or design firms for your marketing collateral, you’ll see cost savings right away. Printing is color is somewhat slower than printing in simple black and white. 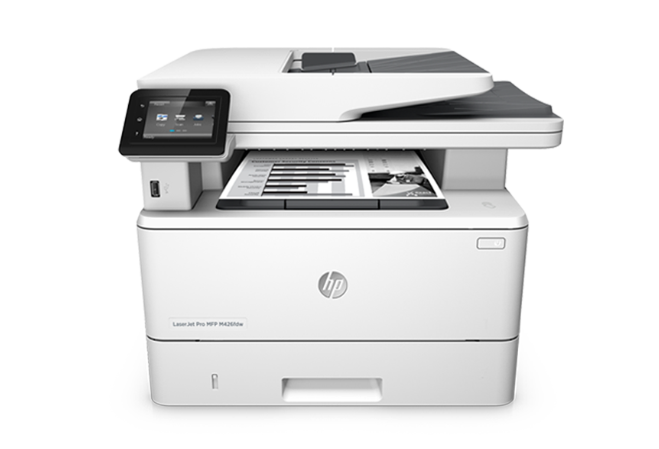 The current top speed from HP color laser printers is 40 PPM, which matches the highest black and white printing speed, but most of the HP laser printers are below this number. 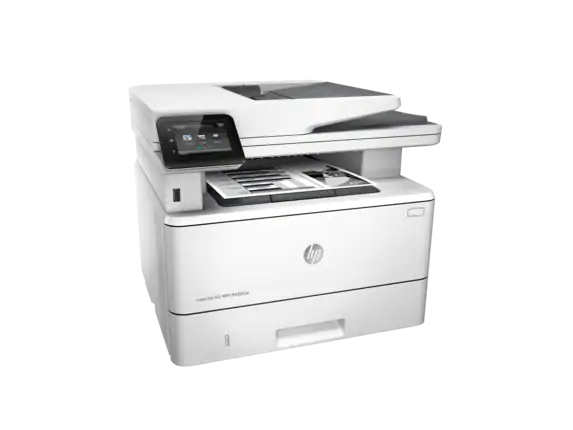 The popular printer is HP Color LaserJet Pro M277dw, HP Color LaserJet Pro MFP M277c6, HP Color LaserJet Pro M252dw, HP Color LaserJet Pro M252n. Multifunction laser printers provide you with a scanner, printer and copier all in one machine. While these are the most expensive of the three types of HP laser printers offered, you do save money by consolidating all of these functions into one device. Another benefit for your business is the amount of space that you save when you don’t need to make room for three separate devices. The popular printer is LaserJet Pro LaserJet Pro MFP M426fdw and uses the HP CF226A 26A Toner Cartridge.